Morocco and Iran will open the affairs in Group B on Friday afternoon when they take on each other at Saint-Petersburg Stadium. 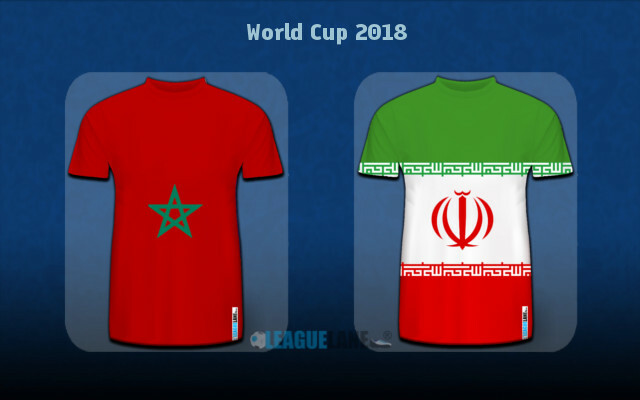 Morocco and Iran will take on each other for the first time in their history on Friday and what an occasion it will be. Group underdogs will take on each other on the second day of the World Cup as both teams need a victory here in order to keep dreaming of the knockout stages and a potential upset against either Portugal or Spain later on. Lions of the Atlas are set as slight favourites, but we honestly give similar chances to each of these two outfits to grab the spoils on the day. Both teams were super impressive defensively during their respective qualifying campaigns. Morocco topped their group in the final round of the African WC Qualifications without conceding a single goal in six matches. Their counterparts broke FIFA WC Qualifications record by keeping 12 consecutive clean sheets en route to booking tickets to Russia 2018 in the Asian zone. The former Cambridge United manager Herve Renard is the one who earns credits for team massive rise in the last couple of years. The French manager instilled the fighting spirit inside his players making the likes of Boussoufa, Belhanda and El Ahmadi step back from their attacking duties and help team regain possession. He won’t have absentees in the opener against Iran meaning we should see the well-tested 4-5-1 formation with Khalid Boutaib as the lone striker. Munir – Benatia, Saiss, Dirar, Hakimi – Boussoufa, El Ahmadi, Amrabat, Belhanda, Ziyech – Boutaib. Iran played ultra-defensive football four years ago in Brazil and such approach did not quite bring the wanted results. With the huge rise in their attacking potential, we will likely see much more from them moving forward. It will thus likely be the 4-1-4-1 formation from Carlos Queiroz who will also have the squad free from injuries in the opening match against Morocco. Beiranvand – Pouraliganji, Montazeri, Rezaeian, Mohammadi – Ezatolahi – Hajsafi, Shojaei, Jahanbakhsh, Taremi – Azmoun. As mentioned above, the two sides did not have the chance to take on each other in the past. Herve Renard men kept the stellar form going after the qualifying campaign as they will come into this off the back of three wins and a draw in last four international friendlies. The team showed particularly strong performance in the 1-2 victory over European WC hopefuls Serbia in March. Interestingly there is no room for the like of Sofiane Boufal in this Moroccan side which has talent all over the place. Medhi Benatia is the main star, but you have to pay close look to Hakim Ziyech as well. The Dutch footballer of the year is a marvellous set piece taker and we not be surprised to see him making the difference for the Lions of Atlas in Russia. Iran ended the previous term run in a poor fashion after clinching just one point in the group with Argentina, Nigeria and Bosnia-Herzegovina. Nevertheless, they arrived in Russia with a much more talented squad led the Portuguese expert Carlos Queiroz. All eyes will be on Eredivisie top scorer Alireza Jahanbakhsh who will have a great companion up front in the like of Karim Ansarifard who bagged 17 goals for Olympiacos this season. Even though the bookies see Morocco as favourites here, we not underestimate Iran attacking line here and our value bet is Team Melli not to lose at the 1.70 odds. Even though Morocco defensive line proved out to be rock-soli over the last couple of years, we just have to try with the sky-high 4.00 odds offered for Iran to net two or more goals in the day. Predicted Full-Time Result is a shocking victory for Iran in what could surprisingly bring a goal fest. Iran not to lose is a bet priced up @ 1.70. Iran Over 1.5 Team Goals @ 4.00. Correct FT Score: 1-2 Iran @ 15.00.